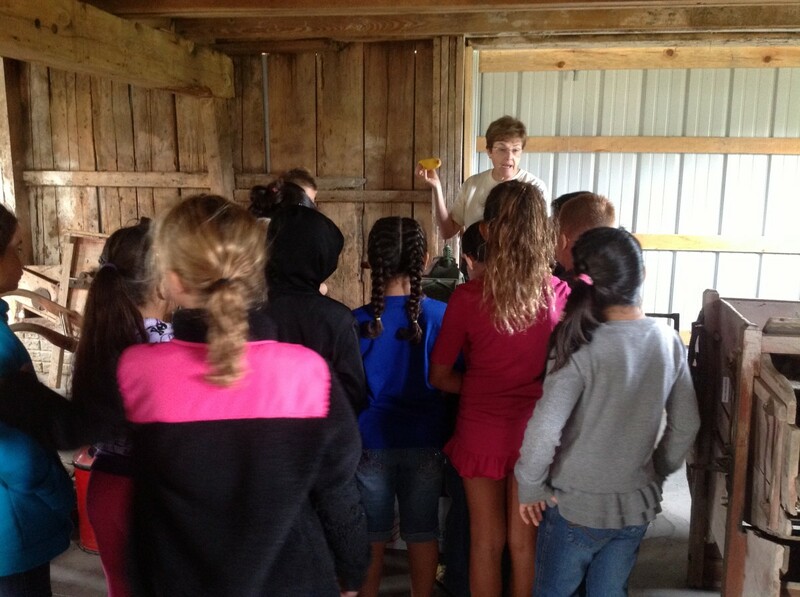 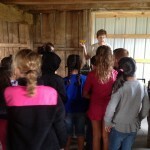 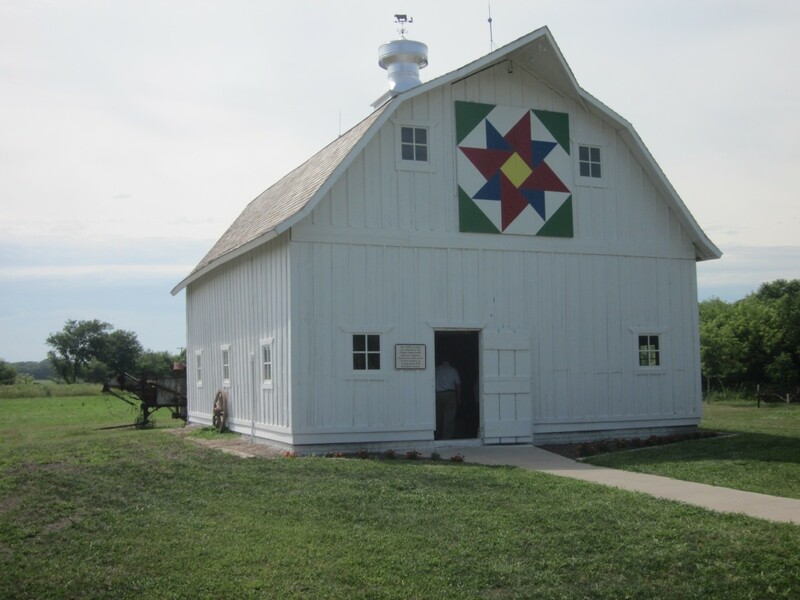 Agriculture has played an important part in the growth and development of our community and this is symbolized by our barn. 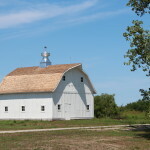 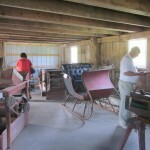 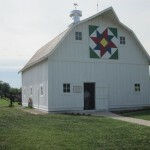 The Heritage Barn was added to the Depot Campus in December 2010, a gift from Mr. & Mrs. Vernon Smith. 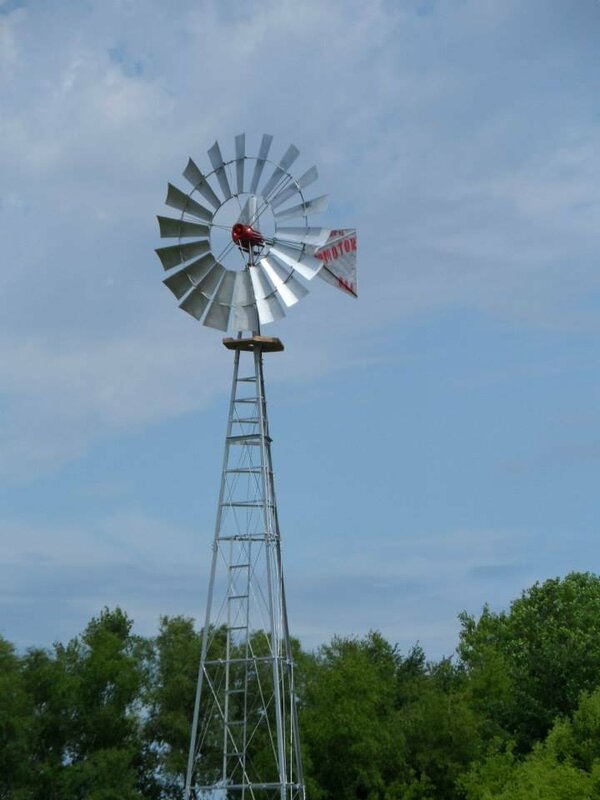 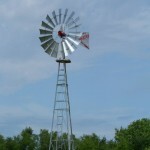 It had been located on a farm two miles north of West Liberty on X-40 which had been purchased by Alfred Smith @ 1961. 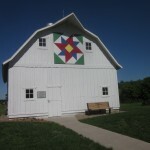 Prior to that, the farm had been owned by Charles Buline from Lone Tree and the Harold Meyer family resided there from 1948-1961. 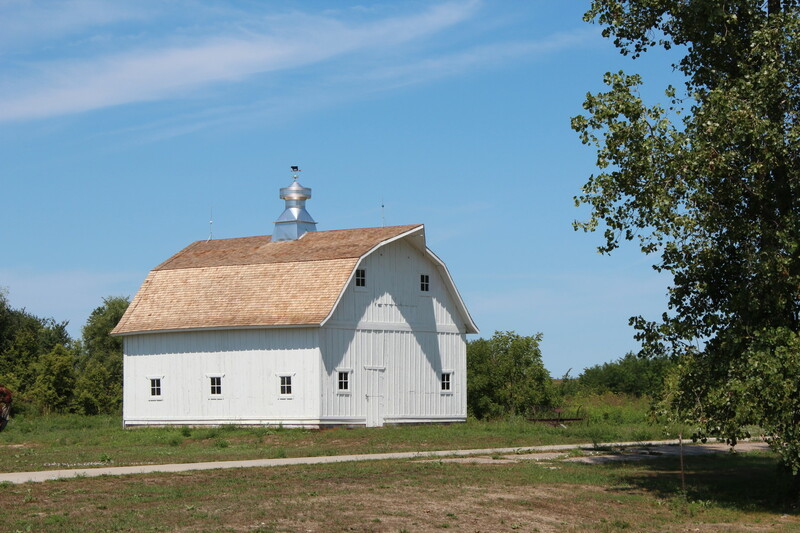 The barn has been painted, shingled and a staircase added to the interior. 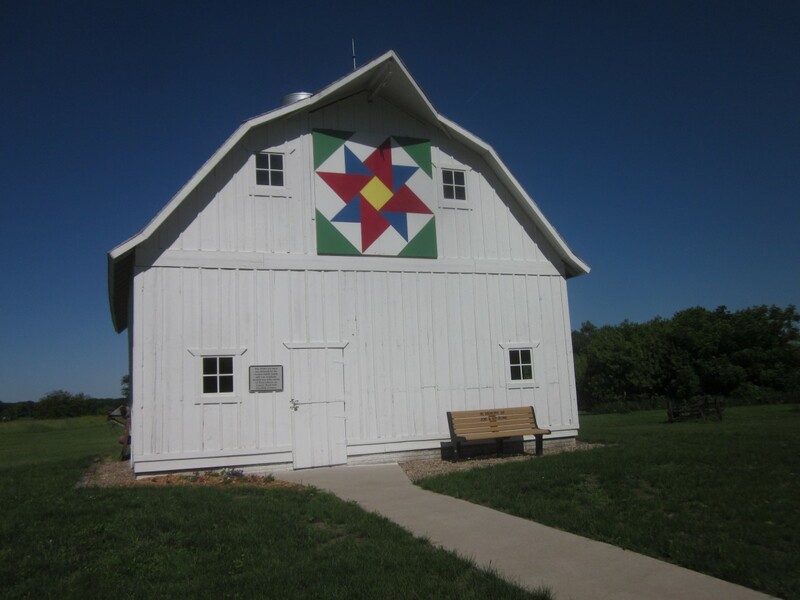 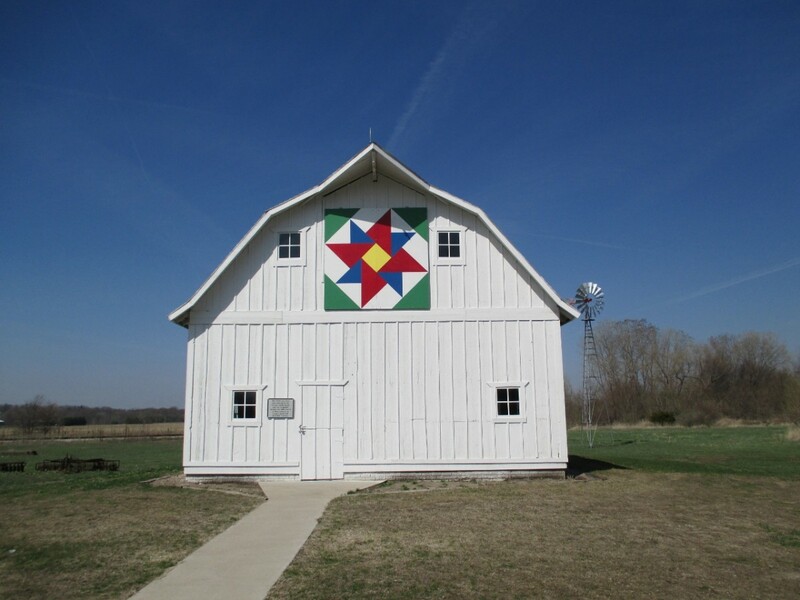 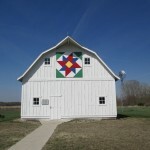 A barn quilt designed and made by three generations of the Don Owen family adds interest to the structure. 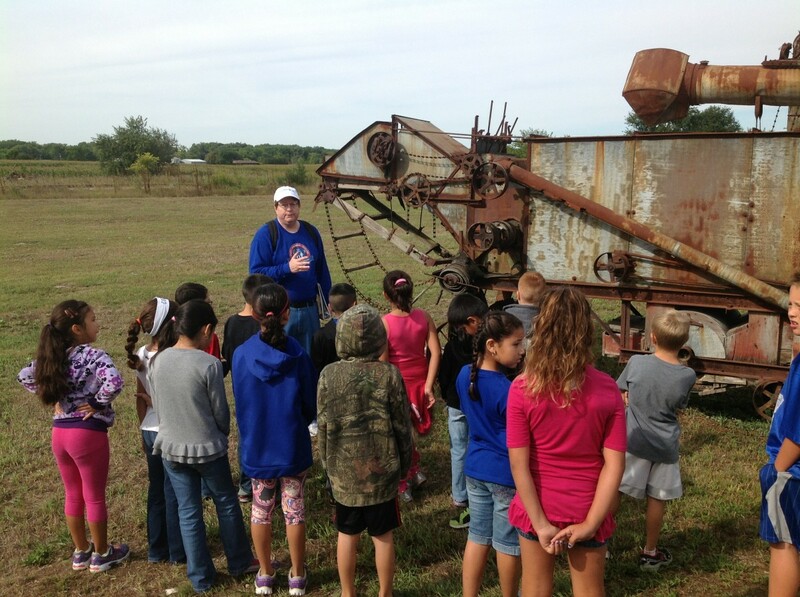 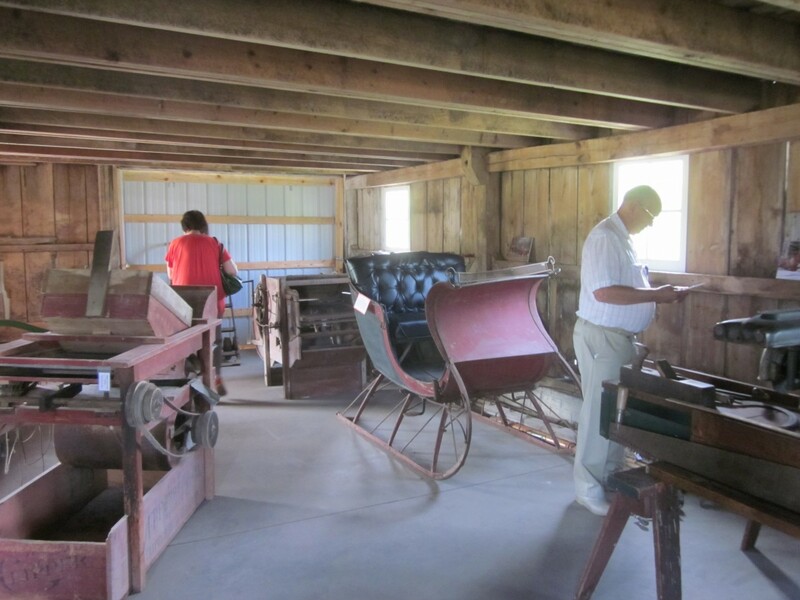 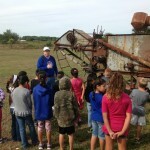 Some agricultural equipment has been donated which is on display either inside the barn or on the grounds around it.